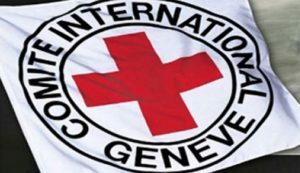 AHRC Care for the Future, in partnership with the University of Exeter, invite you to join us for an evening with Markus Geisser, Senior Humanitarian Policy Advisor at the International Committee of the Red Cross. Markus will be talking about his work with the International Committee of the Red Cross – a career that has seen him travel the globe and influence the development of humanitarian aid policy. There will be an opportunity at the end of Markus’ talk to ask questions. This will be followed by a wine reception with nibbles. All are welcome to attend. Doors at 17:45 for a 18:00 start. Please use the garden entrance at RAMM for Gallery 20. Markus looks back to a long career as humanitarian practitioner. A Swiss native, he started in 1999 when he first joined the ICRC and carried out his first mission as an ICRC delegate in the Democratic Republic of Congo (DRC). This was followed by several years managing field operations in Myanmar, Thailand, Liberia, Darfur (Sudan) and then again in eastern DRC. From 2006 until 2013, he worked in senior management positions in countries affected by the so-called “Global War on Terror”, first in Iraq and Jordan, then in southern Afghanistan and in Washington DC. From 2013 until 2015, he served as Deputy Head of the division working on humanitarian policy and multilateral diplomacy at the ICRC’s headquarters in Geneva. In March 2015 he joined the ICRC Mission to the United Kingdom and Ireland as Senior Humanitarian Affairs and Policy Advisor. He holds a Diploma in Peace and Conflict Studies from the Fernuniversität Hagen, a BA in Political Sociology from the University of Lausanne and a MSc in Violence, Conflict Development from the School of Oriental and African Studies, London. This entry was posted in Actualités / News, Lectures, Posts and tagged GHRA 2018 ICRC Exeter Humanitarianism Human Rights by Fabian Klose. Bookmark the permalink.